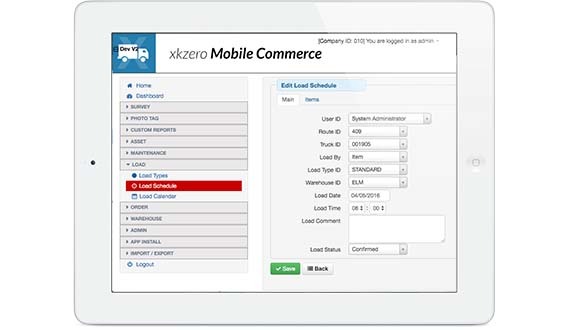 The xkzero Mobile Commerce (XMC) platform unifies everyone in your company like no other business management system. Mobile Commerce is the launching pad for your mobile sales and delivery needs. xkzero sets the new standard for the mid-market with Delivery Automation, Direct Store Delivery (DSD), Route Sales and unmatched Mobile Intelligence, helping you win against the competition. Best of all XMC is specially designed for world-class ERP and accounting systems by Acumatica and Sage. Better planning, better performance, better profits. "We grew our revenue by over 16% in our first year using xkzero and their technology. Best of all, we were able to hire 30 new sales reps without having to add a single new person in either customer service or in our warehouses to manage the new demand. Now we're turning to xkzero again, this time to help us launch our new Wine & Spirits distributorship. xkzero Mobile Commerce is a new kind of system built for the data and technology-driven world we live in. There's so much intelligence and the performance and reliability are both outstanding. We recommend that any company with mobile route sales or delivery needs talk with xkzero". Create efficient routes for reps to serve your customers according to their preferred schedule, allowing them to save time and you to conserve fuel in the process. Mobile Commerce provides the right experience for each mobile user whether you are a Pre-Sales rep, Route Sale / DSD driver, or Delivery rep who modifies deliveries on site. Fast, accurate delivery helps you build brand loyalty. Once you start using this system you won't believe you once used paper and pencil. Eliminate the non-value added administrative labor cost involved in entering and tracking all of this. Capture electronic signatures for proof of delivery. Modify delivered quantities and auto-create your invoices. Leave your customer with an accurate printed invoice or let the back end system generate that for you. Collect payments from C.O.D. customers. Credit card, check, money order too. Capture and view data critical to serving your customers. 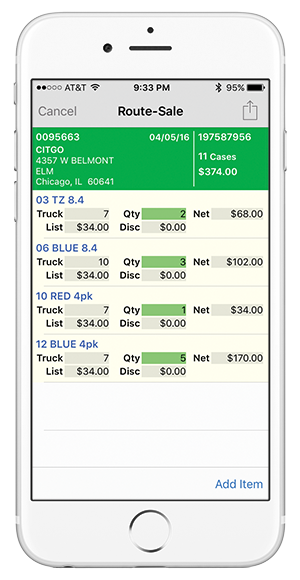 Automate compliance tracking and reporting for your fleet. Build more effective loads and routes. Your team will be better informed, better prepared and higher performing. Task assignment by rep and customer. Ensure your team is following your company standards! Merchandising displays - POP displays to make sure your product is being presented the way it should be. Asset placement - you can define any type of intelligence you wish to gather. The power and flexibility of Mobile Commerce is a result of technologies we've created and others we've adapted in order to give you the most powerful, flexible, intelligent and reliable mobile sales and delivery solution for the mid-market. Whether you have 5 vehicles or 100 or more, Mobile Commerce can scale and grow with you. 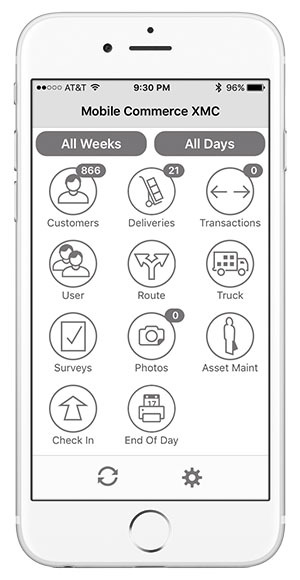 Route selling and direct store delivery (DSD) mobile automation are so dependant upon reliability, accuracy and speed. Those are only three of the great benefits that xkzero Mobile Commerce (XMC) provides to your growing business. 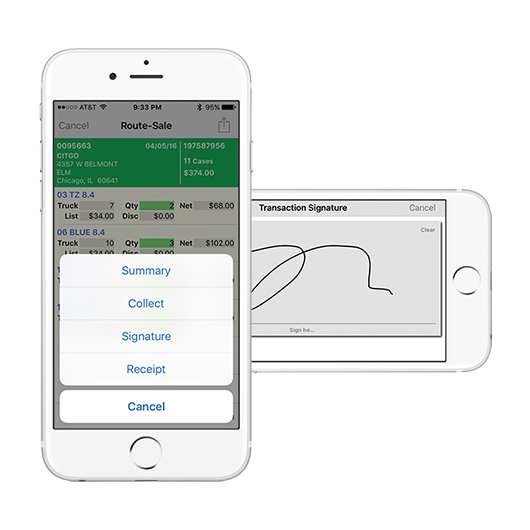 Gain mobile-based processes that seamlessly integrate with your ERP system and are as easy to use as, well—an iPhone app. 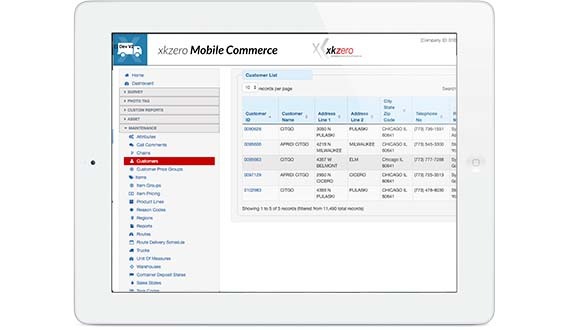 xkzero Mobile Commerce can empower any business delivering their own products using their own trucks. 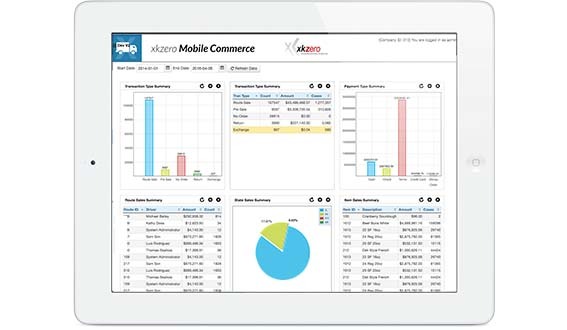 xkzero Mobile Commerce is built by mobile specialists who are certified developers and consultants for Sage X3, Sage 100, and Acumatica. Ask us how mobile can transform your business–even in ways you may not have thought of.